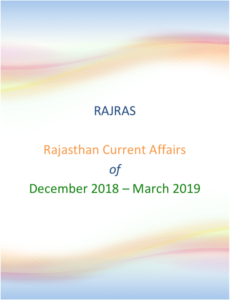 The extensive and majestic hill forts of Rajasthan together reflect the elaborate, fortified seats of power of Princely States that flourished between the 8th and 18th centuries and their relative political independence. Scattered all around in the state, these forts have a uniqueness of their own, with each one of them narrating a story about its kings, kingdom and colourful culture. Their beautiful structures, enchanting edifices and stunning architecture are beyond any comparison. 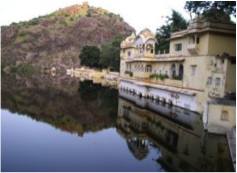 Recognizing their value, six of thes Hill Forts of Rajasthan have been declared UNESCO World Heritage Sites. They are, Chittorgarh Fort, Kumbhalgarh Fort, Ranthambore Fort, Gagron Fort, Amber Fort and Jaisalmer Fort. 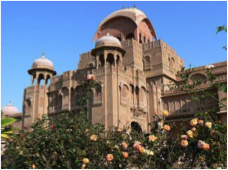 Currently, the fort is converted into a state museum and houses a collection of Mughal, Rajput armor and sculpture. The fort also has beautiful paintings and Janana portion has excellent picchkari works. This 14th century fort is best known for its turrets, ramparts and arched verandas. 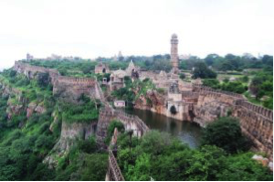 The Yaduvanshi Rajputs, who are said to be descendants of Lord Krishna, built it. Today, the fort has been converted into a heritage hotel. 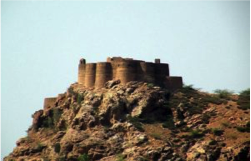 Shahabad fort is one of the strongest forts in Hadoti area. It is located at about 80 km. from Baran. 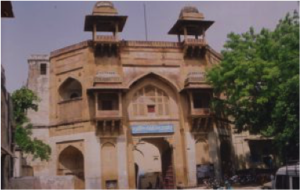 The Chauhan Vanshi Dhandhel Rajput Mukutmani Dev constructed Shahbad fort in the 1521 A.D. (Samvat 1577). This is situated in the dense forest area on the high mountain ranges and is surrounded by Kundakoh valley, waterfalls and a lake. 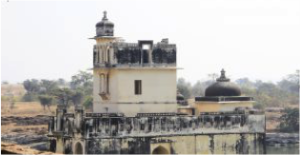 The Topkhana (artillery) has Nawalbaan tope(cannon), Barudkhana and some temples in the forts are still secure. 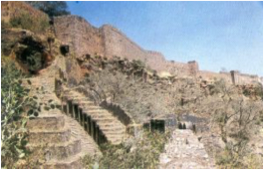 Shergarh fort is situated in Atru tehsil, about 65 km. from Baran district headquaters. The fort is located atop a hillock on the bank of Parban river. Shershan named the fort as Koshvardhan. A stone edict of 790 AD proves the antiquity of the place. 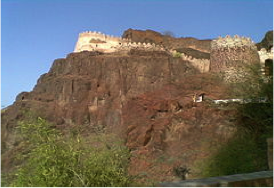 Siwana Fort was constructed in 10th century by Narayan Panwar. In local language its name is Gadh Siwana. After the battle of Giri Summel Rao Maldeo took refuge in this fort from Sher Shah. 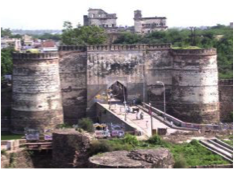 During 1308-09 under reign of Sataldev, the fort was attacked by Allaudin Khilji which resulted in first Jauhar/Saka. In 1597, Akbar with Motaraja Udai Singh attacked Siwana fort at the time of Kalyanmal which resulted in 2nd Jauhar. Lohagarh fort was built by Jat Raja Surajmal in 1733. True to its name, Lohagarh Fort has withstood many attacks by the British, but was ultimately captured by Arthur Wellesley. The famous door of Lohagarh fort was brought by Maharaja Jawahar Singh from Delhi in 1765. 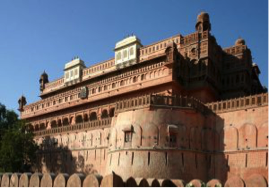 Lohagarh Fort differs from others by its aura of rugged strength. The fort is surrounded by a moat which used to be filled with water to keep enemies out. 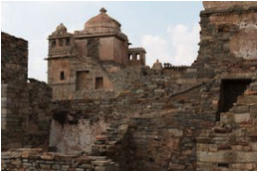 Interesting monuments inside the fort are Kothi Khas, Mahal Khas, Moti Mahal and Kishori Mahal. Raja Suraj Mal built Jawahar Bhurj and Fateh Bhurj to commemorate victories over the Mughals and the British. 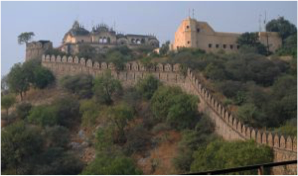 Mandalgarh Fort Bhilwara is believed to have been built by Rana Kumbha and is the 3rd fort of Mewar region, the other two being Chittoragrh and Kumbhalgarh.However, According to Veer Vinod, the fort had been constructed by Mandiya Bhil and Chanana Gurjar. 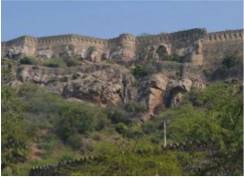 The fort is located on a part of Aravali hill range along confluence of Banas, Berach & Menali. 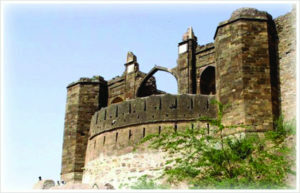 Badnore Fort is situated at asind road and distance is 70 km from Bhilwara. 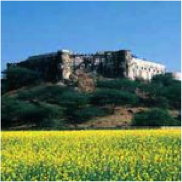 The fort also houses a Prachina Museum which contains royal costumes, textiles and accessories of Rajasthani royalty. Bhainsrorgarh is an impregnable fort, inhabited from at least the 2nd century BC. It is dramatically positioned between two rivers, the Chambal and Bamani. 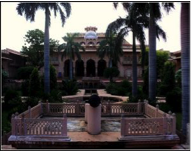 It had passed through the hands of several clans before becoming the seat of a premier noble of Mewar, the large region around Udaipur and Princely State of the Sisodia clan. It contains five tanks, temples to Devi Bhim Chauri, Shiva, and Ganesh. The present fort is around 260 years old and was built in the 1740s.